What is AdBlue and What are the Benefits? As a council, the BWDC (Blackburn with Darwen Borough Council) is accountable for issues such as environmental protection, fuel costs, energy use, and carbon reduction. When dealing with large vehicle fleets, these factors become even more important. Vital as a central resource for several council departments, the Davyfield Road depot had a basic fuel management system and fuel storage tanks equipped in the 1980s. The Blackburn with Darwen Borough Council required an upgrade to be done at their Davyfield Road depot, which at Fueltek we undertook with minimal disruption to their normal activities after five companies tendered for the work. 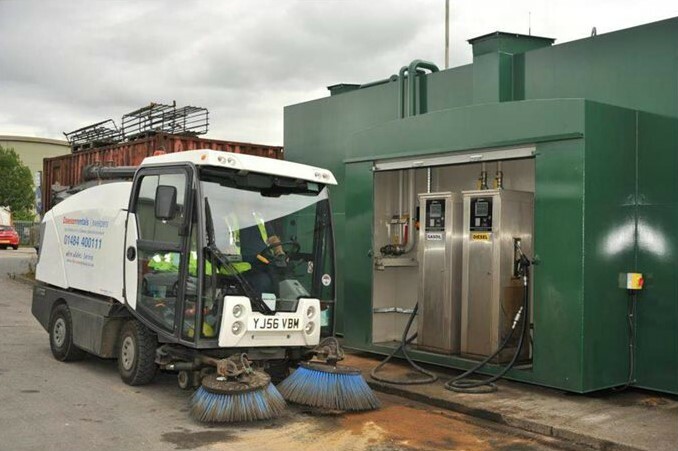 Based in Blackburn and one of the leading fuel management and infrastructure systems supplier, we offered the Council a completely new system with fuel storage and management packages to ensure the well-functioning of the depot. As the systems in the depot were over 30 years old, the supplier of the systems was unable to provide the needed service. The bunding, or the protective catchment, was unprotected and vulnerable to the elements. There was a possibility of a tank leakage and environmental damage occurring – a big issue for any company, but particularly for the Blackburn with Darwen Borough Council. In addition, the gas oil for mobile plant and the diesel were housed in different areas of the depot, which made vehicles’ needs for both plant fuel and diesel a time-consuming affair. Initially, the project included removing and disposing of their current 10,000-gallon fuel tank and two 1,250-gallon fuel tanks. After the removal of the older systems, we installed dual tanks of 50,000 litres for diesel and a compartment for gas oil capable of storing 10,000 litres, totalling to a dual compartment storage of 60,000 litres. This upgrade resulted in an optimised use of the depot, as drivers are now able to access both gas oil and diesel from the same location. Housed in a single, totally-enclosed steel bund, both tanks will guarantee that the depot can work at its utmost capacity. Allowing for easy tracking of fuel, TankWatch gives accurate information on stock movements, current stock, available tank capacity, and deliveries and throughputs. This facilitates the assessment of problematic areas through the use of a series of probes connected to a control panel. You have an interface at the storage point to ensure that fuel delivery drivers have secure and safe deliveries. With benefits and features such as providing alerts if there are unusual stock movements, durable all-weather housing, and accurate and thorough local screen display amongst others, TankWatch is the ideal complement for the FT4000 range or for stand-alone use. You can see the full product sheet here. The two FT4000 fuel management units installed control the dispensing and fuel access through the use of a pre-programmed datatag. 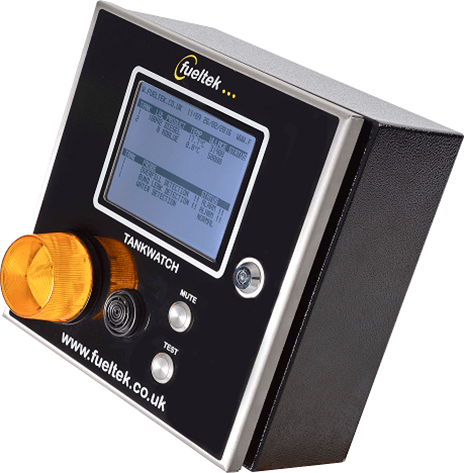 Alongside these units, Fueltek’s TankWatch fuel gauging system is also installed to provide constant monitoring of the tank contents. TankWatch guarantees accurate readings and recordings of deliveries, providing early warnings in case of primary tank leakages or any overfills occurring. The GPRS Modem internet connection which is a component of the software is also connected to the reporting software which allows for detailed analysis of data. The datags have been issued to 145 authorised drivers, each with the individual fuel drawing permissions specified. A further 24 tags were issued to provide access to draw the gas oil, for the drivers requiring the use of the portable plant. Before the diesel is drawn, the driver is required to enter the vehicle mileage readings. This ensures that the system is able to capture all of the essential information. If you require an accurate, durable, and secure fuel management system solution, just get in touch with our team and we will ensure you have the best possible service tailored to your specific needs.